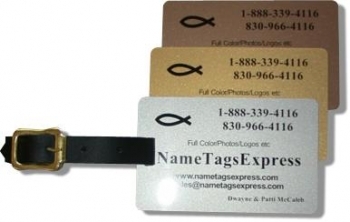 Metallic Look Printed Luggage Tags. This is the best value & professional looking luggage tag available. Ships in 1-3 days.